Cd accumulation in rice grain is a world-wide problem because rice is the staple food of over half the world’s population. Over the past few decades, many authors have reported that Si-rich substances can mitigate the negative influence of Cd on the growth of various plants, including rice. 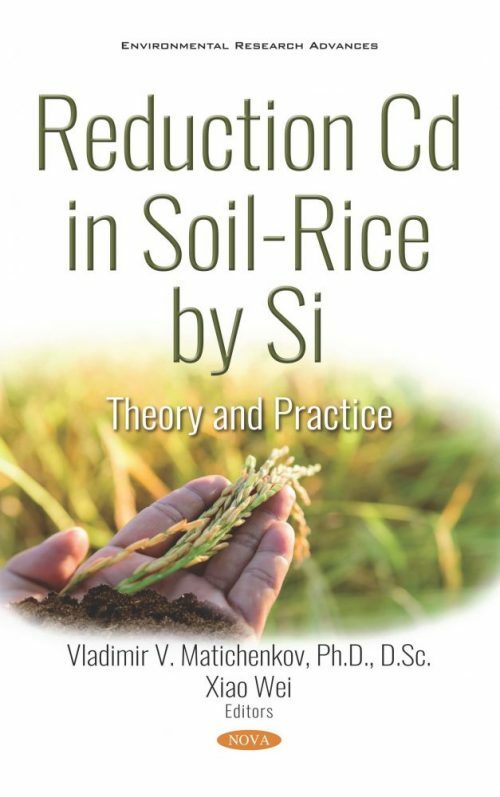 The main aim of this research was to summarize the data from literature and the investigation to understand the mechanisms of the Si effect on the migration and transportation of Cd in the paddy soil-rice system. This system was separated into two parts – the soil and the plant – and each part was studied separately. Si-rich soil amendments, Si fertilizers, and Si-based biostimulators were used in laboratory, greenhouse, and field tests. Several mechanisms of Si-Cd interactions in the soil-plant system (precipitation and sorption in soil, accumulation in roots and reduction Cd transport in apoplast and symplast of roots, stem and leaves), were investigated in detail and knowledge about these mechanisls were used for elaborating the practical recommendation. The field tests demonstrated that the use of Si-rich materials can reduce Cd in the rice grain by 50 to 90%, and other pollutants, including As, Cu, Hg, and Pb, by 40 to 95%. The combination of Ca- and Si-rich substances reinforced the reduction of Cd mobility and grain accumulation and is a prospective soil decontamination and food safety technology. The book will be extremely important for scientists, ecologist and agronomists. Universities or scientific organizations, agricultural organizations (farms), governmental ecological and agricultural organization. Students.